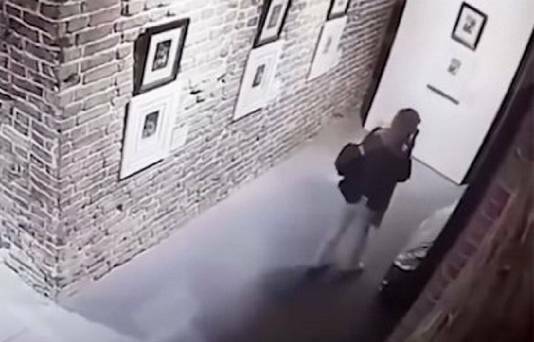 A group of four girls taking selfies have been blamed for causing a wall exhibiting valuable paintings to come crashing down at an art gallery in Russia. The structure was carrying two works of art by prominent Spanish surrealist Salvador Dali and Francisco Goya at Yekaterinburg's International Arts Centre. Both works were left damaged after the temporary structure fell while she was trying to take a photo of herself with the artwork in the background, according Russian news agency TASS. 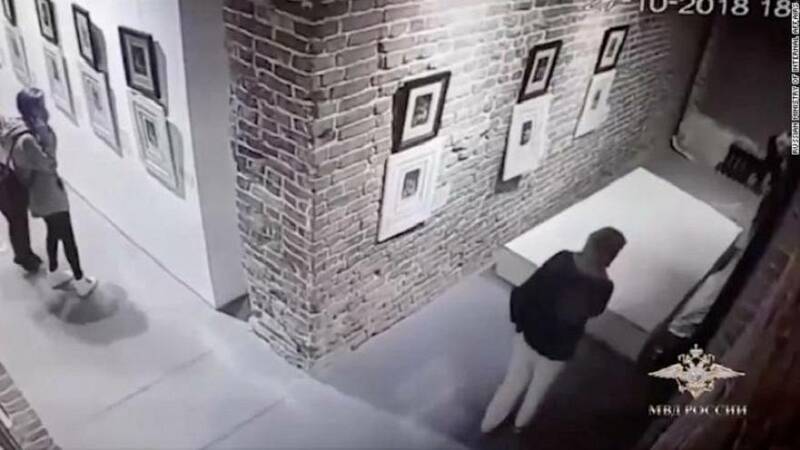 The security camera footage shows one girl walking up to the wall moments before it falls, a startled woman can be seen behind the wall. Russia's interior ministry published the video on Twitter. An exhibition employee said to reporters that a group of female tourists had not been behaving appropriately and they were to blame for the destruction. Both paintings are now being inspected by art experts to see how badly they were damaged. Museum workers said the frame and glass on the work by Goya were broken while Dali’s actual picture is destroyed. The pieces of art were on show at the Caprichos exhibition featuring works from Dali and Spanish romantic painter Goya. A police investigation has been launched into the incident but no arrests have been reported. The names of the pieces and how much they are worth has not been released.